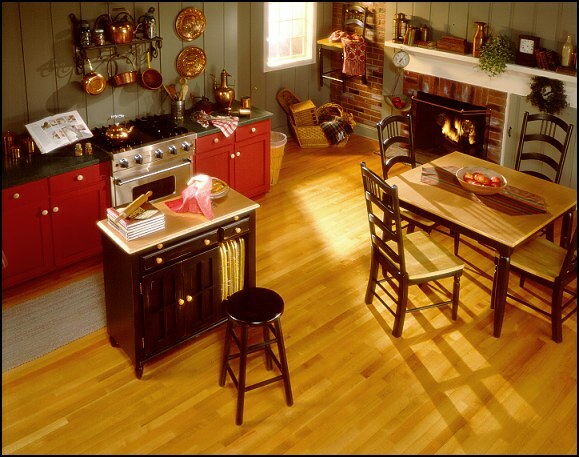 Solid pre-finished flooring has the same construction as unfinished solid hardwood with a few exceptions. Pre-finished flooring is usually beveled on either two sides or all four sides and has a factory applied finish on each individual board. Board thickness can range from 1/2" to 3/4" with 3/4" being the most common. Grading is more subjective but usually is dependent upon color variation allowed and average board length. Width availability usually ranges from 2-1/4" to 6" with board lengths between 12" to 78."